For two decades, paleoecologist David Burney and his wife, Lida Pigott Burney, have led an excavation of Makauwahi Cave on the island of Kaua'i, uncovering the fascinating variety of plants and animals that have inhabited Hawaii throughout its history. From the unique perspective of paleoecology-the study of ancient environments-Burney has focused his investigations on the dramatic ecological changes that began after the arrival of humans one thousand years ago, detailing not only the environmental degradation they introduced but also asking how and why this destruction occurred and, most significantly, what might happen in the future. Using Kaua'i as an ecological prototype and drawing on the author's adventures in Madagascar, Mauritius, and other exciting locales, Burney examines highly pertinent theories about current threats to endangered species, restoration of ecosystems, and how people can work together to repair environmental damage elsewhere on the planet. Intriguing illustrations, including a reconstruction of the ancient ecological landscape of Kaua'i by the artist Julian Hume, offer an engaging window into the ecological marvels of another time. 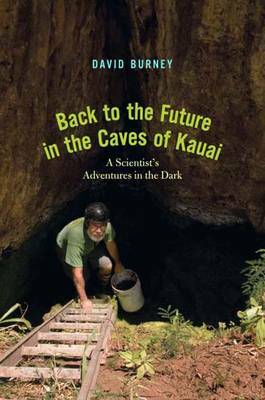 A fascinating adventure story of one man's life in paleoecology, Back to the Future in the Caves of Kaua'i reveals the excitement-and occasional frustrations-of a career spent exploring what the past can tell us about the future.